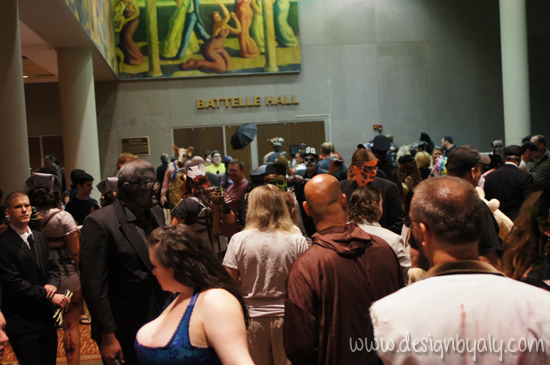 The 2012 Midwest Haunters Convention also known as MHC, was a huge success! 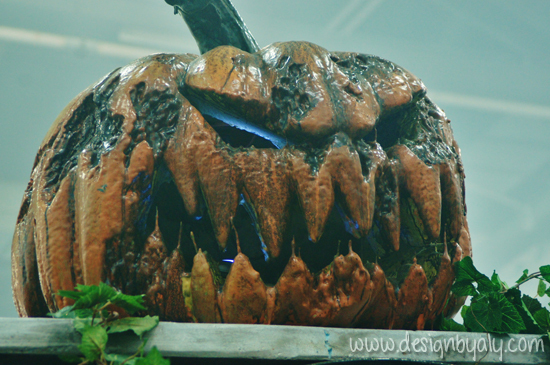 The Halloween trade-show is held annually in Columbus, Ohio in June. Haunt Tours, Vendor Booths, Seminars, Hands-On Workshops, Celebrities, Parties, Socials, Costume Contests, and a Body Painting Show are all part of this week long event! Held June 8-10, this was MHC’s 9th annual convention and it did not disappoint! The Midwest Haunters Convention is a Halloween trade-show serving the primary audience of Haunted Attraction Producers, Actors, Artists, and Home Haunters. 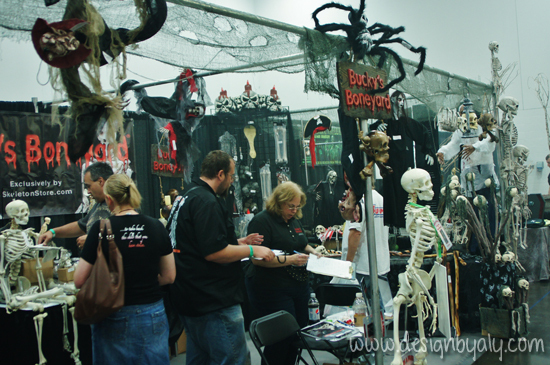 The 60,000 square foot trade show floor contains over seventy-five vendor booths, which provide regional businesses and residents the opportunity to shop for professional quality Halloween related products. Throughout the duration of the duration of the convention, MHC also includes educational seminars, hands-on workshops, and networking activities for haunted attraction professionals as well as beginners just starting out in the haunt industry. This year’s seminars featured some of the top experts in the industry. Over thirty-five hours of classes were divided among five categories; Acting, Makeup,Haunt Design/Props, Haunt Business, and Home Haunting in conjunction with the Garage of Evil. These seminars teach and help you understand the ins-and-outs of the various techniques used in the industry. Fear Factory, Findley, OhIf you missed the Pre-Show Bus Tour, sign up next year! It’s the perfect all-inclusive vacation for Haunters! 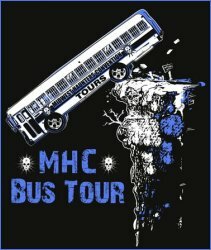 In addition to the two-day bus tour, MHC offered a Friday bus tour open to any and all haunters. The Friday tour took guests to an actual haunted building, the Ohio State Reformatory and Bissman Building in Mansfield, OH. Here the guests went on guided tours and then enjoyed lunch at the Bissman. 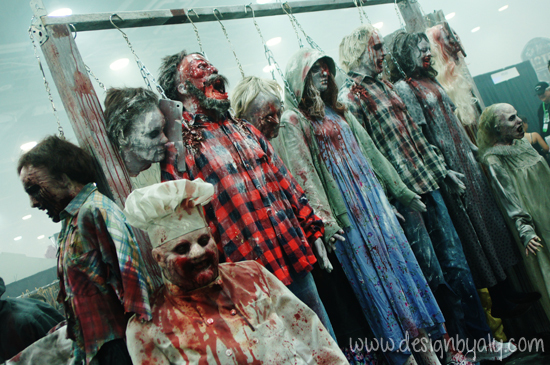 Also offered to Haunters were the two Friday night tours; Costume Vault costume shop and Scare-A-Torium. After the Friday night tours, Haunters were welcomed at the host hotel (Hyatt Regency Columbus) by a party and 5th annual “Scary-Oke” contest. Contestants of Scary-Oke dress in elaborate costumes and sing karaoke to their favorite tunes. The best costume/singing combination wins! Saturday night, The 2012 Monster Masquerade Costume Ball featured a Body Art Show, Miss Midwest Scary Pageant, and the Scariest Character Contest along with dinner and drinks. This is “THE” event to attend of the year! The costume ball brings all the haunt industry’s BEST actors and costumes together into one place for a judged contest! 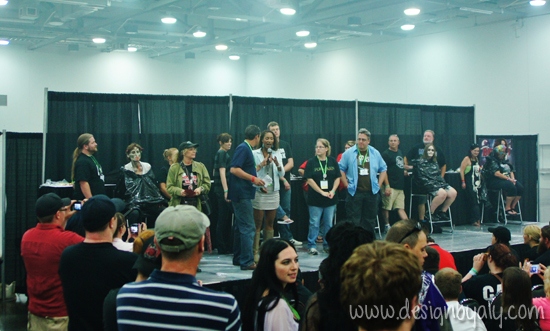 Another crowd-favorite event was the Bloody Mary Monster Makeup Wars held on the trade show floor. With only given thirty minutes and a bag of surprise makeup materials, makeup artists showcase their talent in unbelievable speeds. Artists form teams of three (two apply makeup, one is the model) and battle on stage to complete a monster makeup. The teams’ models are then judged on completion, detail, and speed by haunt industry professionals to be crowned as the winner. All these events were jam packed into one awesome convention at the Greater Columbus Convention Center in Columbus, Ohio. MHC featured everything a haunter could possibly wish for at a trade-show. The convention expands bigger and better every year. Next year is MHC’s 10th year anniversary and will surely be a year you won’t want to miss! We are already getting wind of some special surprises lined up for next year. The 2013 Miss Scary Midwest Contest will bring back the best of the best! The nine previous winners of the contest will be returning to compete for the 10th anniversary crown! Gaurdians of the Galaxy: Mission Breakout Halloween Overlay Coming This Fall!